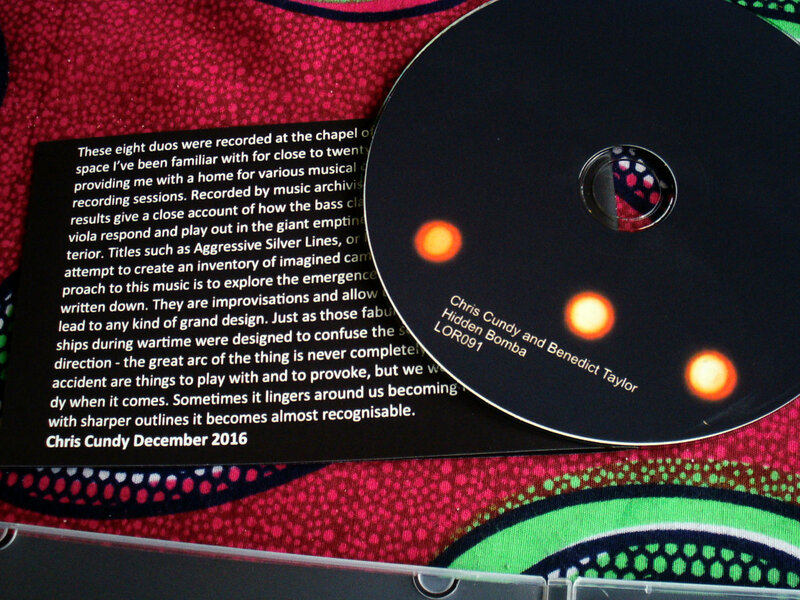 First edition of 100 professionally duplicated CDs, each packed in a flexible plastic case with full-colour wraparound sleeve and folded insert with notes. Includes unlimited streaming of Hidden Bomba via the free Bandcamp app, plus high-quality download in MP3, FLAC and more. Download includes PDF booklet of notes and images. as those fabulous dazzle paintings on ships during wartime were designed to confuse the senses in the enemy's direction - the great arc of the thing is never completely hidden. 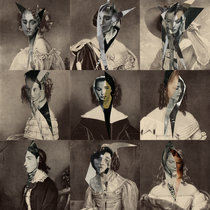 Gesture and accident are things to play with and to provoke, but we welcome plain melody when it comes. Sometimes it lingers around us becoming faint, foggy, with sharper outlines it becomes almost recognisable"
Recorded at Francis Close Hall Chapel, University of Gloucestershire. Compiled and edited by Chris Cundy. Mastered at Calundronius by Chris Trent. Thanks to Stuart Wilding at University of Gloucestershire. 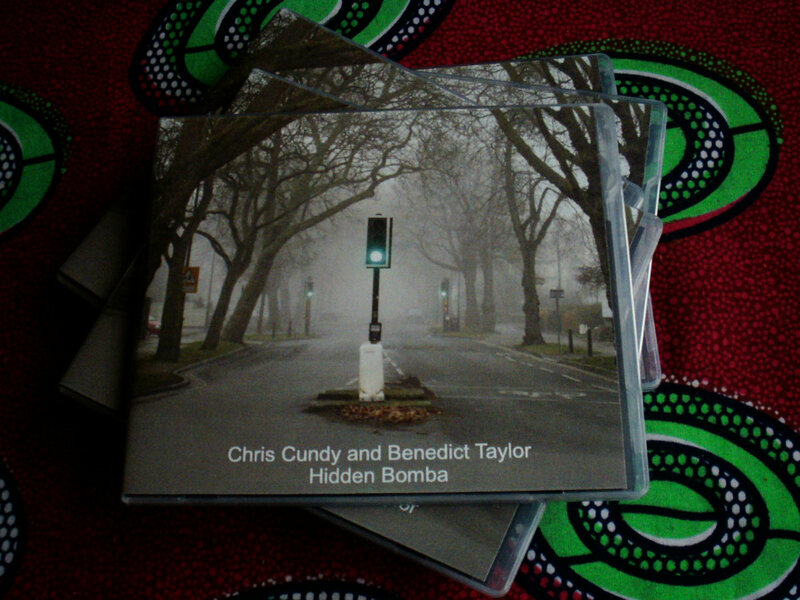 "“Hidden Bomba” is this year released avant-garde jazz album. It was released on July 5 by “Linear Obsessional Records”. 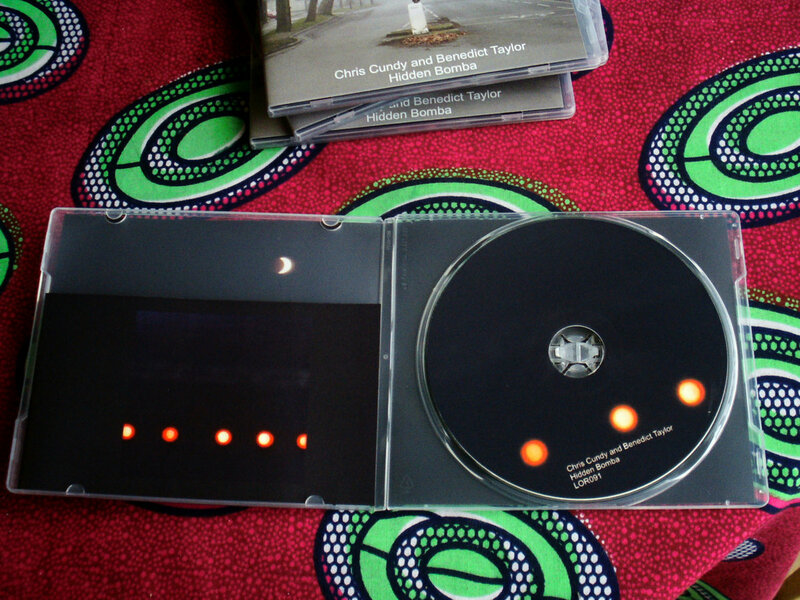 Album was recorded by two jazz masters – Chris Cundy (bass clarinet) and Benedict Taylor (viola). These two musicians are famous and original avant-garde jazz players. Their improvisations have extraordinary and unusual sound and many different music elements gently combined together. 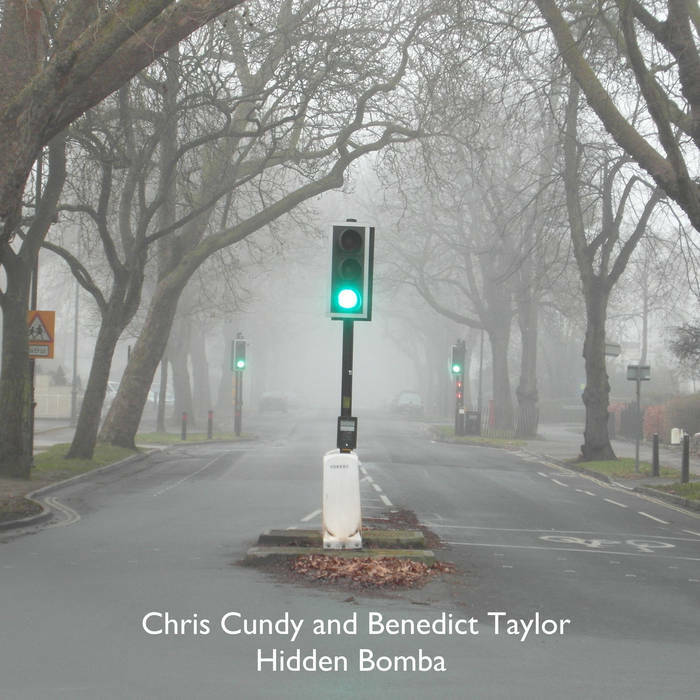 The main element of tChris Cundy and Benedict Taylor improvising style are extended improvising style, original musical decisions and a synthesis between various music styles. Avant-garde jazz, various modern jazz styles and contemporary music elements are masterfully twisted together in their improvisations. Both musicians had formed and marvelously improved their own improvising style – unexpected stylistic waves, extended and inventive ways of playing, free and spontaneous musical experiments, bright and adventurous sound are the main and most important elements of it. They had been active members of experimental jazz scene – the projects and collaborations with other various jazz masters are their basic activity of musical career. Album improvisations are based on various music elements which are highly contrasting with each other. The compositions are mostly based on collective improvisations. Free, spontaneous and colorful duos, outstanding and wild fast solos, extended playing techniques, wide range of musical expressions are the main elements which are heard in these compositions. The musicians expand from the traditional sound, usual playing techniques and create extraordinary and adventurous sound. They are using many different ways of playing – glissando, vibrato, pizzicato, obligato and many other very well-known playing techniques are blended with sounds experiments, special effects and innovative ways of playing. 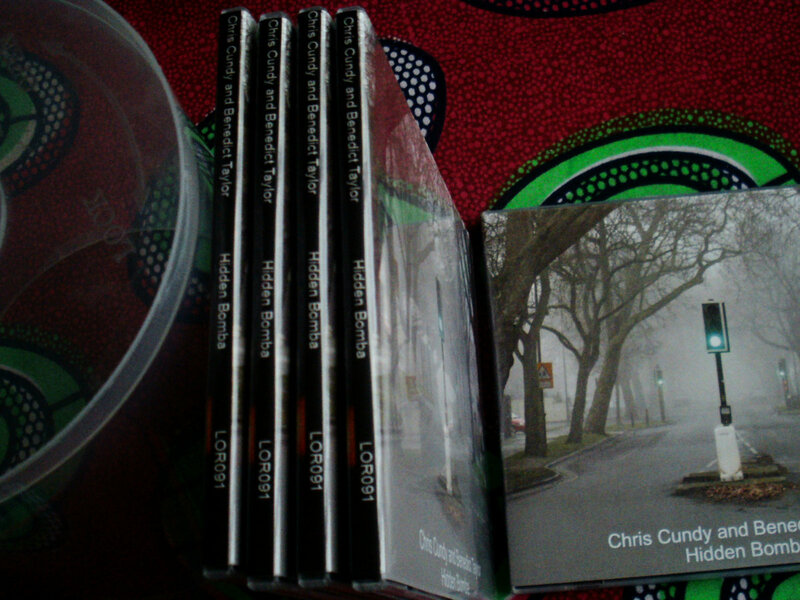 Chris Cundy improvisations are very dynamic and constantly changing. Active and expressive suddenly turns out to be very calm, restful and peaceful or – very dramatic and energetic. He tries out various ways of playing, reveals his own and unique sound which is very colorful, interesting and evocative. 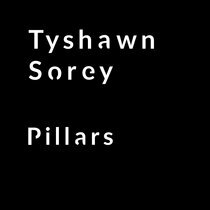 His improvisations bring to the compositions avant-garde jazz sound and its basic elements. Benedict Taylor viola make the compositions to sound more academically. 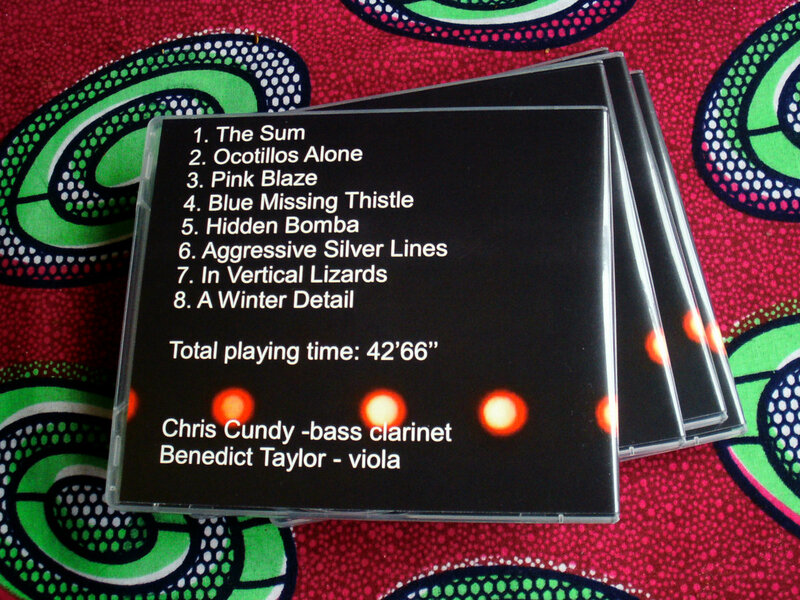 Various contemporary academical music styles, experimental music elements and innovative playing techniques are masterfully twisted with bass clarinet improvisations. Both musicians improvising are very important and highly effects the main sound of the album. Avant-garde jazz and contemporary academical music elements, sounds and intonations are twisted together and make an extraordinary sound. These compositions are always between free, spontaneous and expressive collective avant-garde jazz improvisations and contemporary classical music compositions. The synthesis between these two sifferent music styles bring a evocative and original sound to the album. Marvelous and outstanding improvising, wide range of different playing techniques and musical expressions create vivacious and bright sound of this album."